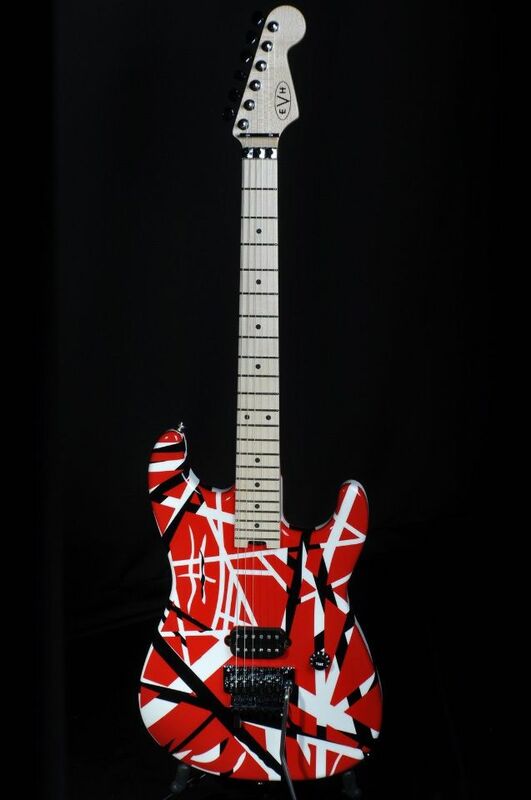 An instrument that is the result of a lifetime obsession for perfection. 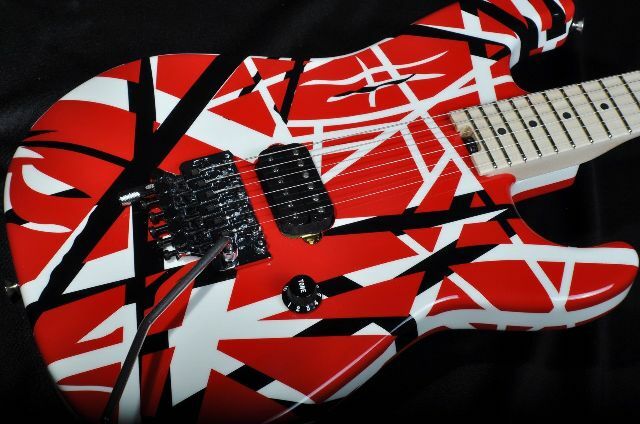 An ode to the guitars made famous by Eddie Van Halen when he was blowing minds on and off stage. 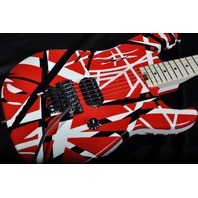 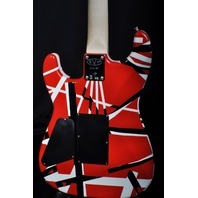 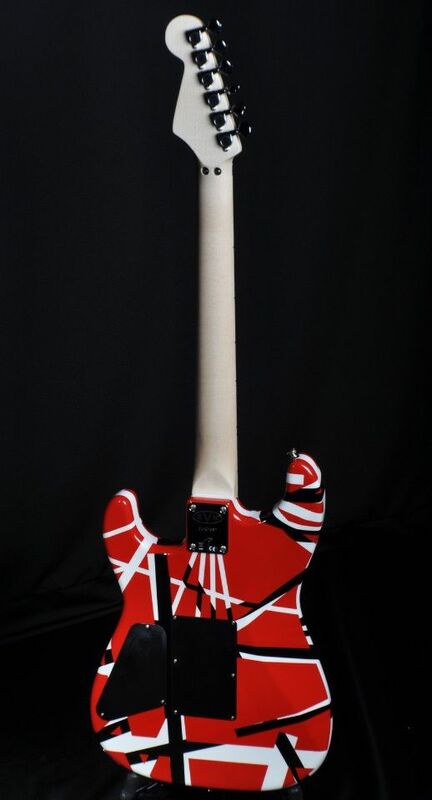 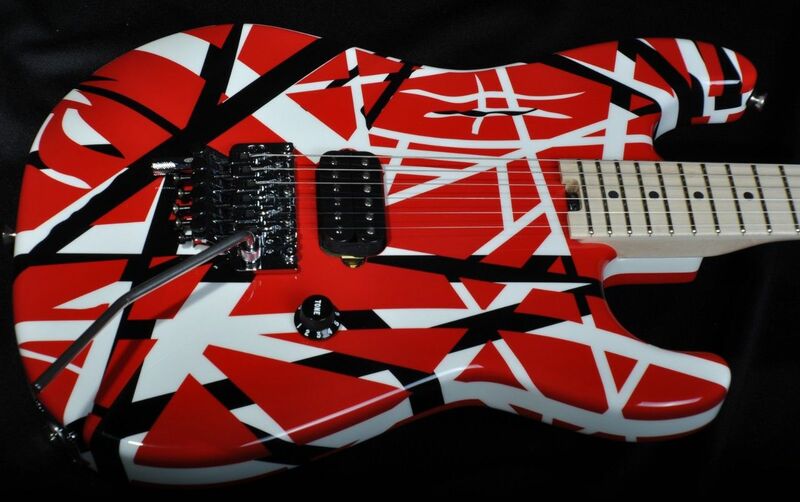 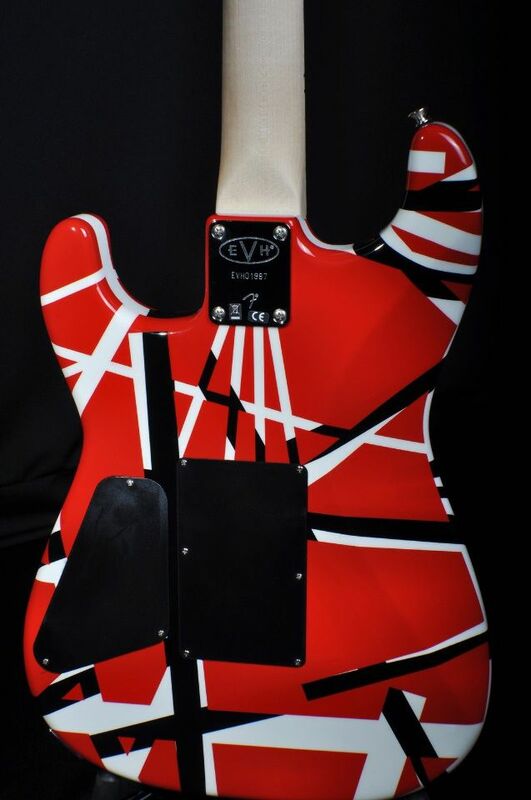 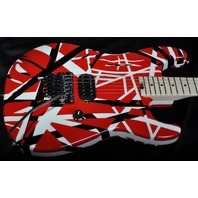 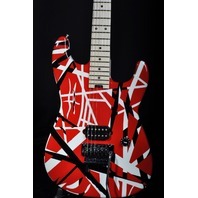 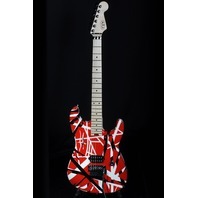 Based on the original artwork Eddie created for the guitars that rocked the stages during Van Halen's heyday of the late-'70s through the early '90s, this line of EVH guitars includes three color combos, white with black stripes, black with yellow stripes, and red with black and white stripes. 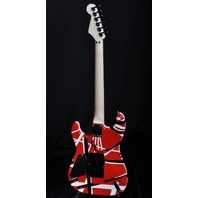 Besides the recognizable artwork, the guitars themselves are basswood Stratocaster-style bodies with quartersawn maple necks, a hand-rubbed oil finish and thumbwheel truss rod adjustment, compound-radius maple fingerboard (12”-16”) with 22 jumbo frets and black dot inlays, plus a single ferocious direct-mount Wolfgang® humbucking pickup. 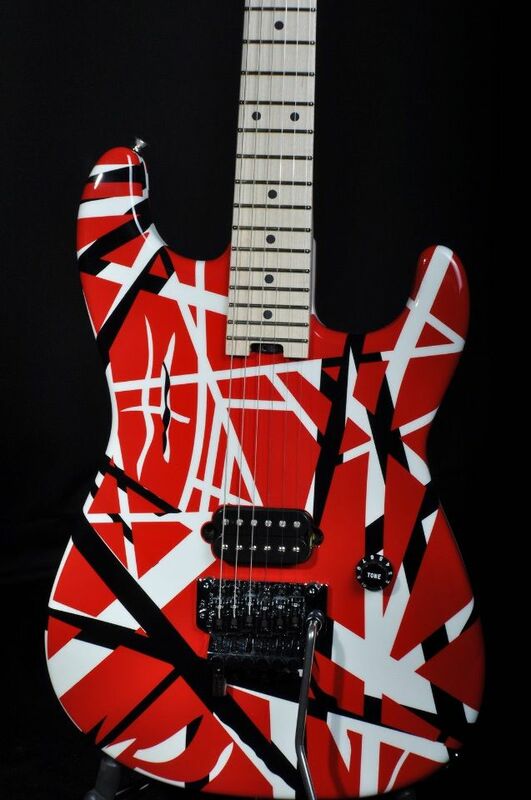 Other premium features include a single volume control knob (which is labeled “tone”), single-ply black pickguard (on the white and black striped model only), bar string retainer and Floyd Rose locking nut, EVH-branded Floyd Rose locking tremolo with EVH D-Tuna®, EVH die-cast tuners, chrome hardware, vintage-style strap buttons and EVH neck plate.